Here's the million dollar question I get asked every day. When do you find time to exercise Dani? As you know yesterday, I shared a glimpse into my morning routine that we mothers all share. I wanted you to get a little insight on how I manage my time because there are so many people telling me they are just too busy. The real million dollar question is "Why aren't you finding time for you?" I try and squeeze in my exercise daily regardless of how busy my day gets, it sure is a juggling act this Mum of 4 and entrepreneur biz. Even if I haven't done a full blown workout for the day, I make sure I have gone for a walk with the kids down to the park or bang out a quick tabata 4 minute session. No matter what time you have in your day, move your body so you are making it a habit in your life. Being active everyday gives me the energy to multi-task and work wonders. In order to multi-task successfully, you need to prioritize what routine is the most important in your life. It's all about managing your time effectively. Jeepers, I sound like my manager back in the corporate days "Dani if you fail to plan, then you're planning to fail" so I thank Anthony Andrews for those wise Benjamin Franklin words as now I am a superb "time" manager! Kinda. Not really if my hubby was reading this now. I still stuff up but I can totally assure you if you establish a time frame to complete tasks, you just get them done. Like over in YOU land, we are taking 1 minute of our time to capture our action for the day. I recently decluttered my dreaded plastic draw and feel such a weight off my shoulders! Check out my micro actions and come and join us. You will love it. Download free YOU app here. YOU too can create action at any time of the day. It's up to YOU! We all have different life schedules and commitment. I have 4 kids to manage and you may be a single mother or studying at Uni. We are all equally busy in our own world so make sure you make time for you, to keep fit and healthy. 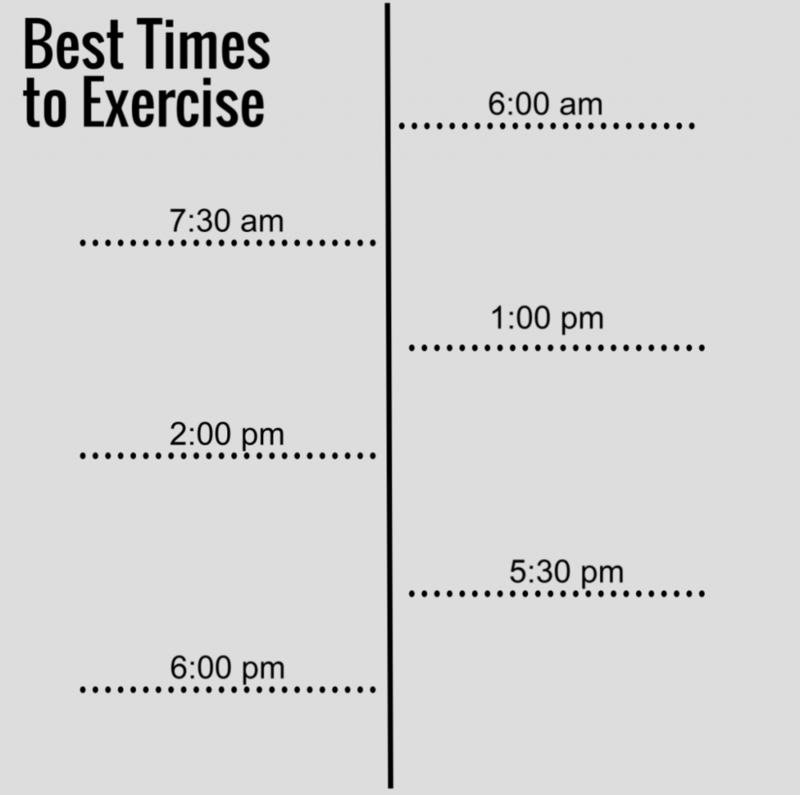 Morning or Noon -If you are like me and have trouble with consistency, morning may be your best time to exercise. The experts say that those that are consistent in their morning exercise habit, tend to do better. I can vouch for that as that's how I kicked started my fitness! Please take note that your body temp is lower in the mornings so make sure you give your body a good warm up. Early Afternoon - “When you exercise at lunch, you won’t get that common afternoon dip in alertness, and your overall productivity at work is likely to increase,” says Dr. Edlund. Also I find if you workout with your colleagues its such better company. Just make sure you guys eat afterwards! After Work - They say the best time to exercise if you want to relax or sleep better is at the end of your workday. Exercising three to five hours before bedtime will help you relax and sleep better. Especially for those of you that like to hit the snooze button in the mornings. I was like that at one stage where I got into the groove working out after work and it suited my body rhythm because I wasn't fighting my body the way I was in the mornings! For more tips on how to stay active daily check out my new #365Activedays movement. Get notified! Happy FRI-YAY! Have an amazing weekend and catch you in Instagram land.